Tired of hearing about the Olympics in Sochi controversy yet? We at The Campanil couldn’t help but notice how much dialogue was sparked over hosting this year’s Winter Olympics in Sochi, Russia, largely due to Russia’s anti-gay policies. Mills College even had an open discussion about it. Whether the anti-gay policies are good or bad is not up for debate—they’re distressing and make LGBTQ people second-class citizens. However, what does it mean when our fellow U.S. citizens and the athletes representing our country, some LGBTQ, are in Sochi? The huge amount of media coverage–from safety reports to Buzzfeed articles about an Olympic athlete saving puppies–is part of the 24/7 bombardment that comes with Olympic events. But is the media’s shock at conditions, such as the articles on states of material disrepair in Sochi, just pointing to our privileged views as a nation? Is focus diverted from the athletes? It’s clear that US citizens in Sochi have to exercise caution. One Campanil editor comments that some of the younger US Olympians who came to Sochi without family are just competing in their events and going straight home. The threat of danger is real, but we believe that should make the American public want to watch and support their team even more. We should be uniting against the homophobic views of a country that cannot shape or control the people that we decide to become. For those excited Olympic buffs, watching the Winter games once every two years is a treat to not be missed—especially events like ice skating and bob-sledding. However, this year the events are broadcasted before the crack of dawn. Most students are unable to wake up early and go hard with Olympic enthusiasm by watching the events live. When you combine controversy with early, early-morning timing, one editor explains that her disinterest conveniently fit in with protesting the Olympics. However, it should be noted that protesting the Olympics as an individual US citizen has a greater effect on the media outlets covering the events and our country’s athletes than it does on Russia. Some American fans protesting this year believe that the US should’ve boycotted the Olympics as a nation. Boycotting the Olympics seems somewhat drastic, yet we have boycotted the games before. In 1980, the US chose not to attend the Moscow Olympics in protest of the Soviet Invasion of Afghanistan. In response, the 1984 Olympics in Los Angeles, CA were boycotted by 14 of the Eastern Bloc nations and allies. Actually, according to PolicyMic and GLSEN, the Gay, Lesbian and Straight Education Network, eight US states have what is called “no promo homo” laws that prevent free speech in schools about LGBTQ issues in Alabama, Arizona, Mississippi, Louisiana, Oklahoma, South Carolina, Texas and Utah. South Dakota and Missouri have laws that prohibit anti-bullying policies for LGBTQ youth in local school districts. 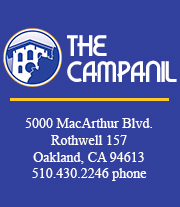 Overall, The Campanil staff believes that we should not make all the athletes, who trained vigorously to get where they are, suffer by not supporting them in their times of pride and victory. However, we need to be educated about hypocrisy of our own country in terms of LGBTQ policies. The dialogue started by this year’s Winter Olympics is important because we are asking important questions—mainly, are we comfortable associating with and giving money to governments that remove and regulate freedoms?